Based on your seminar when I start thinking what’s next, I now say “How cool is that?”. Something new is cool. Knowing in 2 months I will no longer have a job was stressful but now I am trying to think of it as another way to Pick Happy and Act Happy instead of sad. Someone actually said to me I seem happy instead of stressed out like I was. It’s the Brad effect!!!!! Your seminar was the best thing at the worst time. You wanted us to tell you one thing we did differently based on the time we were together, I think this is a good one. It’s weird. My wife and I have had such a tough time with foster kids (hang with me — I know it seems unrelated.) We had two very cute, very troubled girls for a month. It was a ton of work, a ton of pain, and some VERY occasional joy. And then they were suddenly snatched back into The System. Back to their family; to a place that makes us worry about them. It stunned us. We felt like we had so much more love to give and so much more to teach. But they were gone. How could we effect any change in just a month? And then, that very same day, I got this letter from Grace. It absolutely made my day. 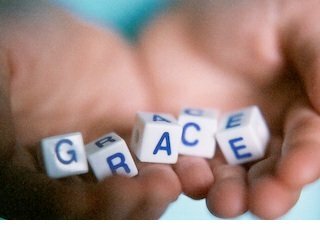 Thanks for restoring just a tiny bit of faith, Grace. I’m thrilled you’re on the right track. As for me? You absolutely made my day. I’m calling it the Grace Effect. Motivational Speaker, Health Care Speaker, Fan of Grace! 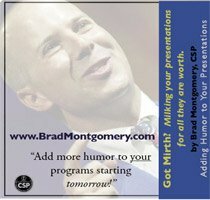 https://www.bradmontgomery.com/wp-content/uploads/2018/11/logo-1-495x198-1-300x120.png 0 0 admin https://www.bradmontgomery.com/wp-content/uploads/2018/11/logo-1-495x198-1-300x120.png admin2010-03-25 15:52:142010-03-25 15:52:14The Grace Effect. Ok. That’s not funny. Yes it is. Well… it depends. Palliative Care department. We had nurses, doctors, administrators, chaplains, and hospice partners… the whole team gathered for a day of celebration and a much needed dose of perspective—through humor. This is hard-working team of health care professional who are constantly dealing with a difficult heavy job. And, judging by the laughter and volume from this particular group they really needed a break. In my job as a comedian motivational speaker, I’ve found that the groups with the most grizzly occupations are the quickest ones to joke about stuff that makes most of us blanch. Cops, firemen, ER nurses, — and hospice and palliative care folks not only joke about stuff that many people would find “crosses the line” of good taste, they HAVE to joke about it. It helps keep them healthy. Humor helps with stress. And folks super stressful jobs will often turn to gallows humor to help them stay sane. So, after agreeing that the jokes would “stay in the room,” we went for it. And the laughter followed. Often people complain about humor that is “in bad taste” without understanding that often that humor is “in good health.” I once worked for a bunch of intensive care nurses who finally put up a plaque outside of the ICU that said something like, ‘If you see us laughing please know that this is not evidence that we are taking the care of your loved ones less seriously. It’s our way of dealing with the stress that is inherent with this job. And in the end, our laughter helps us provide the care that your family deserves.” Brilliant. Beautiful. Back to Kaiser: I was impressed with how quickly this group was to laugh. But as I lead them through some exercises to help them connect humor and levity to increasing their ability to provide care and to serve their folks — and how keeping themselves sane in the end serves their patients, I was amazed at how quickly they got to the point. In other words, this audience didn’t just run through the humor in the workplace exercises and try to move on. They lingered. They enjoyed. And they went deep. I think I might have learned as much as they did. Scratch that…. I definitely learned from them. 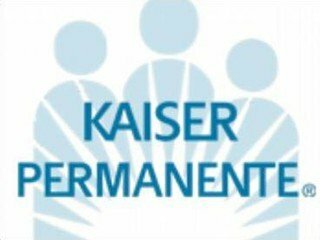 Thanks Kaiser Palliative Care. It was my absolute pleasure. Are you looking for a health care motivational speaker, or palliative care / hospice speaker? 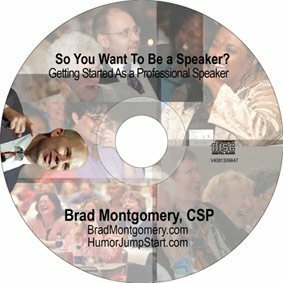 I’d love to be your speaker. Go to the contact page now. Funny Health Care Speaker home on my main website. This video covers the sticky topic of what to do when your humor fails. All right. I want you to watch these series of jokes that bombed for me at the Mayo Clinic. But then watch what I do about it. So, check it out. It’s just cool to be at the world-famous Mayo Clinic and its sister organization, the Mustard Infirmary. I’m staying at the Relish Inn. So, I have a condiment theme here in Rochester. I bank at the First Bank of Ketchup. Okay, condiment humor, not big in Rochester. We can see that. Did you see what the building next door, right next to the main Mayo building, the little deli? They’re going to call it Mayo on the Side. Free condiment jokes. Yeah! I mean, how cool is it you guys work for the Mayo Clinic? It was so much fun for me when, you know, where you going this time, Brad? I’m going to the Mayo Clinic. Oh, I’m sorry. No, I’m healthy! I’m healthy! We’re going to laugh. A little mayo on the side. Four condiment jokes. I didn’t totally bomb those jokes, but clearly they didn’t go as well as I had hoped and I used a couple of techniques that you can use as well. First, whether you’re telling stories or relating an anecdote or telling jokes, when things aren’t going as well as you hoped or horrible, let the audience know that you’ve noticed. Acknowledge it. There’s nothing weirder than watching a speaker that acts like everything’s going great when it’s clear to the audience that things aren’t going great. So, don’t do that. It’s too weird. But the second part is equally important which is that it’s your responsibility to take care of the audience. It’s your responsibility to let them know that you’re fine. So, when things don’t go well, they start to worry about us and they start to fret for us and get stressed and you got to let them know that you’re fine. So, you notice, I did just that. First, I acknowledged the condiment jokes failed, or at least weren’t doing that great. I even started counting the goofy, failed condiment jokes. But, more important than that, with my body language and with my words, I let them know, hey, don’t worry about me, I’m having a good time still. You’re going to have a good time still. We’ve got lots of program left and things are great. So, the audience will admire you and love you for trying humor, even if it doesn’t go as well as you had hoped. Just remember the two rules. One, acknowledge it, let them know. And second, take responsibility to bring them with you and let them know that you’re totally fine.